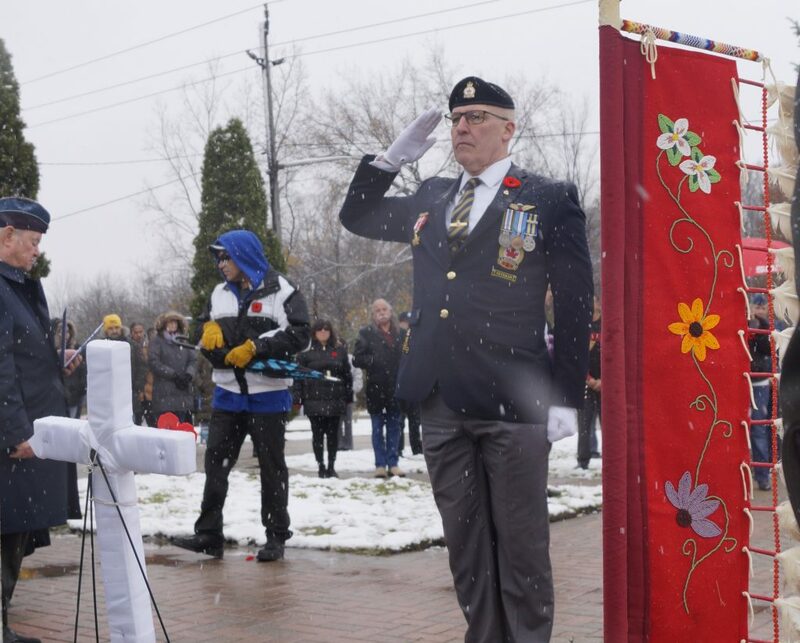 Aamjiwnaang First Nation held its Remembrance Day ceremony at the 11th hour Friday morning to pay tribute to First Nations soldiers who fought for their country. 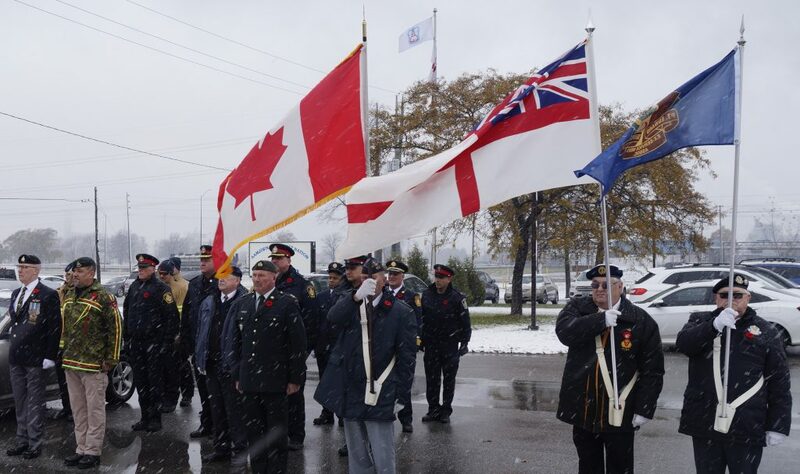 War veterans, first responders, and local dignitaries were among those who braced against cold and snowy conditions at the Cenotaph on Tashmoo Avenue. John Stewart of the Royal Canadian Air Force Association 403 Wing was emcee. 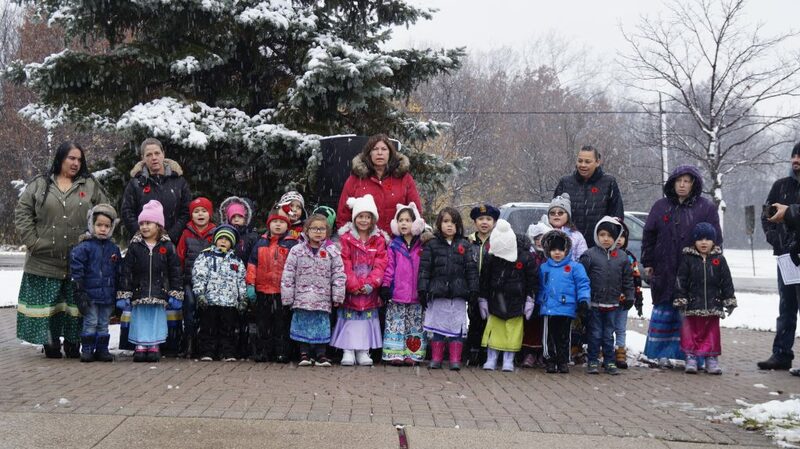 Indigenous junior and senior kindergarten students sang O’Canada in Ojibwa. 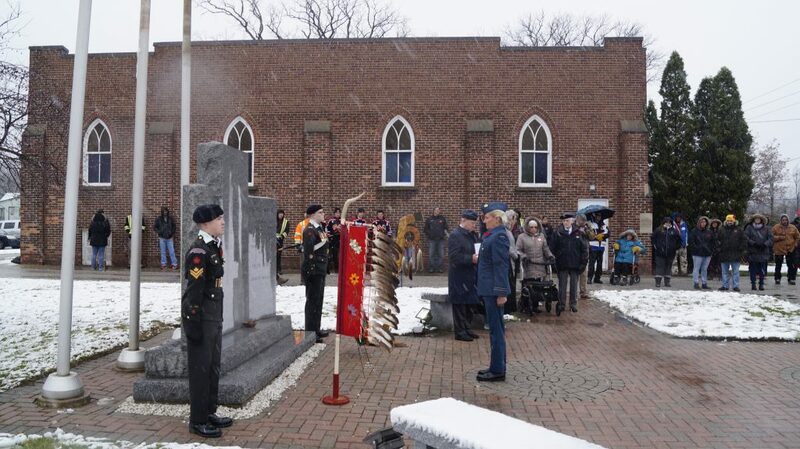 Aamjiwnaang drummers, a trumpeter, and piper also took part in the service. 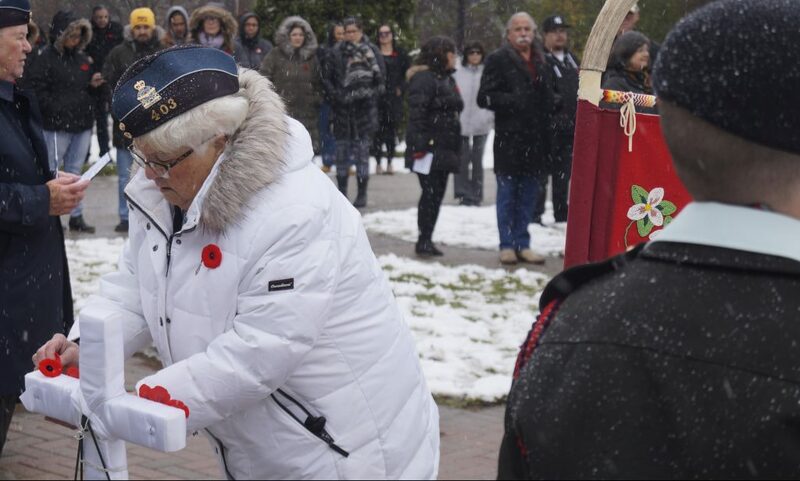 The Aamjiwnaang ceremony is usually held prior to Sarnia’s service November 11 to allow residents to attend both. The community lost its last Second World War veteran in 2015, 94-year-old Stanley Jackson.